Thermal Windows, Inc. is in its fourth decade of quality window design and production. We manufacture energy-efficient aluminum and vinyl windows, sliding glass doors and terrace doors. Many of our products meet Energy Star performance levels. In 1955, Bob G. Pool and his father Cal began selling awnings, storm windows and storm doors out of a Tulsa storefront as Aluminum Window Products. Attuned to the market, Bob saw the growing need for high quality replacement windows with insulated glass. 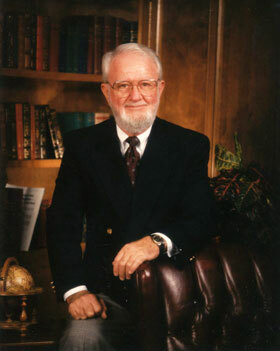 In 1979, he founded Thermal Windows, Inc. and began designing and manufacturing energy efficient windows. Today, we are an industry leader known for value, integrity and performance. Our quality products and personalized service lead to an exceptional level of customer satisfaction. Our corporate headquarters, showroom and 235,000 sq.ft. manufacturing plant are located in Tulsa, Oklahoma. We have 200 employees and custom-manufacture over 70,000 windows and doors every year. With a branch office in Oklahoma City and a network of dealers across the United States, our annual sales exceed $35 million. 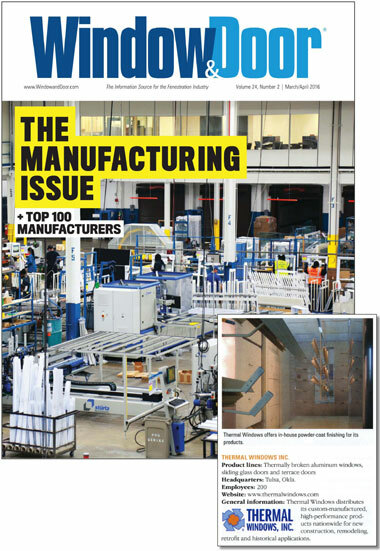 Window & Door magazine consistently names us a "Top 100 Window Manufacturer." We compete with window and door companies throughout the United States. Since we manufacture our products in Tulsa, when you do business with us, your money stays in Oklahoma. Our quality and service is second to none. Many of our new customers are referred to us by other satisfied customers. We have top ratings with Angie's List and the Better Business Bureau. Our products provide efficiency, performance and security equal to or better than higher-priced brands. With us, you deal direct with the manufacturer, bypassing the middleman. You'll always receive premium quality products and service at factory-direct prices. We don't use high-pressure sales tactics. Our representatives are window experts, trained to help you choose products, features and options that meet your design goals and budget. None of our windows are mass-produced. Our professional technicians take careful measurements of your home, then we manufacture each window for the best fit. Quality installation is the key to long-term performance. Our installers are skilled craftsmen, trained to work with courtesy, cleanliness, and attention to detail. Every installation is inspected afterwards to ensure your satisfaction. "Get up early and stay late. Take care of the customer first."